Life's Blood Ensemble, Rent Romus’ visionary group pays tribute, reinvents, and breathes life into the deeper realms of their collective body of memory performing original composition, as well as music from contemporary local and international composers. Formed by saxophonist Rent Romus while on tour in Northern Europe in 1999, Life’s Blood Ensemble currently features drummer Timothy Orr along with a rotating cast of stellar musicians from the San Francisco Bay Area and beyond including vibraphonist Mark Clifford, bassists Max Judelson and Safa Shokrai, tenor saxophonist Joshua Marshall, and master trumpet player Heikki “Mike” Koskinen. 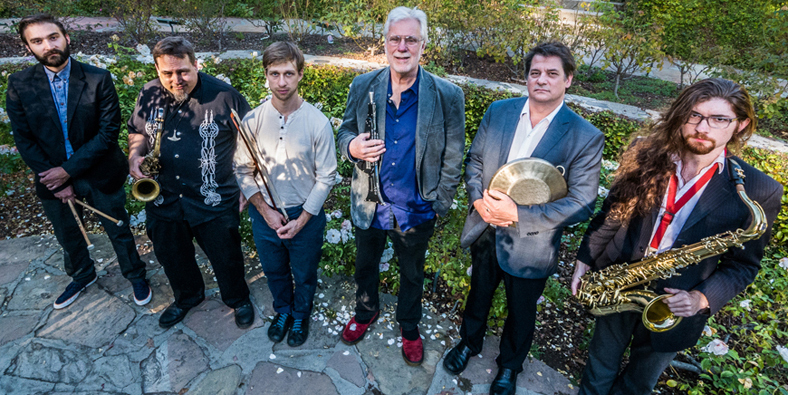 Their third album "Cimmerian Crossroads" was declared as one of the top ten best jazz albums of 2014 by critic/journalist Tom Hull. Rent Romus is a saxophonist/multi-instrumentalist, composer, bandleader, music producer, and community leader hailed by Downbeat as having "...a bold sound, unmistakable sincerity and conviction". A third generation Finnish American born in the great north of upper Michigan and growing up in the San Francisco Bay Area, Romus' work on the saxophone has been dubbed “ferocious” by the San Francisco Weekly and “central to the creative music world of the West Coast” by writer jazz critic Frank Rubolino. From his very beginnings as a student of jazz while being exposed to the twilight tutelage of Stan Getz he found himself drawn to the outer realms of Sun Ra and Albert Ayler, as well as Arthur Blythe, Derek Bailey and Merzbow. He leads the Lords of Outland a free improvisation unit since 1994, the Life’s Blood Ensemble a compositional contemporary ensemble, and works with pianist Thollem McDonas in the Bloom Project as well as the collective improvisation group The Ruminations. He has recorded over 40 albums exploring improvisation and composition in a wide variety of musical settings both as a leader and sideman which have included Chico Freeman, John Tchicai, Vinny Golia, Thollem McDonas, Stefan Pasborg, James Zitro, Heikki "Mike" Koskinen, and Jon Bridsong to name a few. He is the founder of Edgetone Records with over 30 years of independent music production, and performance experience as well as the founder and Executive Director of Outsound Presents under which curates the bi-weekly music series known as SIMM at the Musicians Union Hall, the weekly Luggage Store Gallery Creative Music Series, as well as annual Outsound New Music Summit, the Bay Area's creative music festival held every summer in San Francisco.